Day 1 in the Photography 101 Challenge is Home! I live in the North Carolina and it has been in the 70’s-80’s daily here for several weeks, our typical Fall weather. Suddenly last evening the overnight temperatures dipped into the mid thirties! 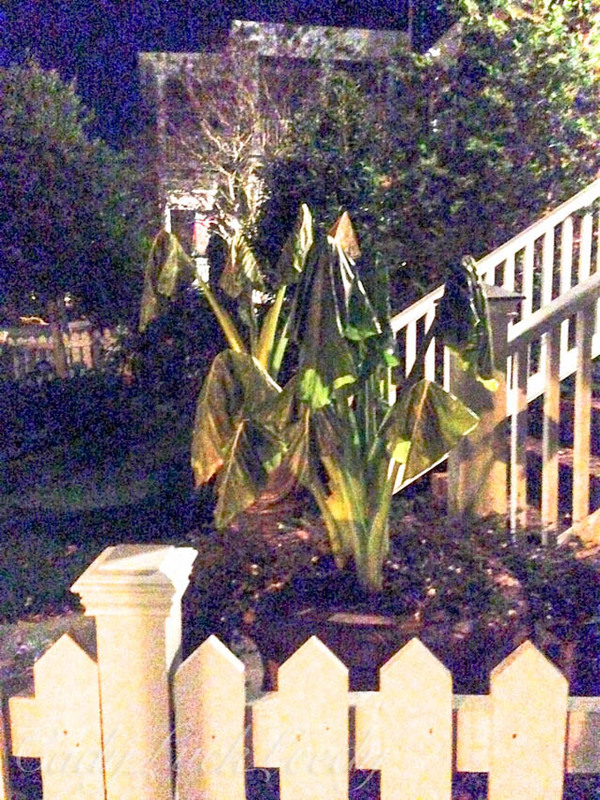 I took this shot on my cell phone of the wilting Elephant Ears foliage on my evening walk through the neighborhood. I hope the temperature goes back up! Oh dear poor plant! I am looking forward to doing this photography course with some familiar faces. The challenge has begun! Love your contribution. The temperatures are falling here in the UK too. I think this looks familiar.